Unique in its flavor. 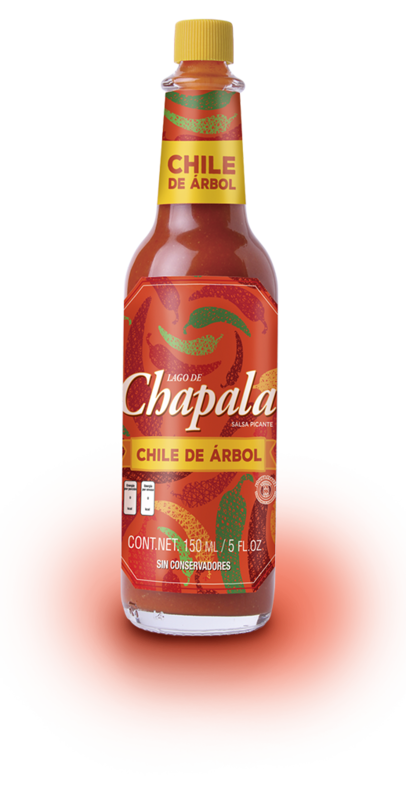 Spicy sauce made with a delicious combination of Chile de Árbol Peppers and Guajillo Peppers, which will give a special flavor to all your meals. 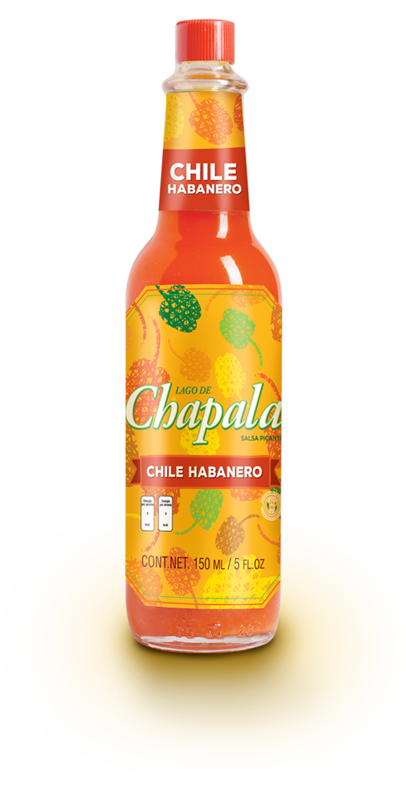 Regarded as the taste of Chapala, this sauce will add flavor and apt to surprise your palate consistency. The perfect balance between tradition and flavor. Rescuing Southeast flavors, we developed this sauce in order to satisfy the most discerning palates with a taste and itching high level. 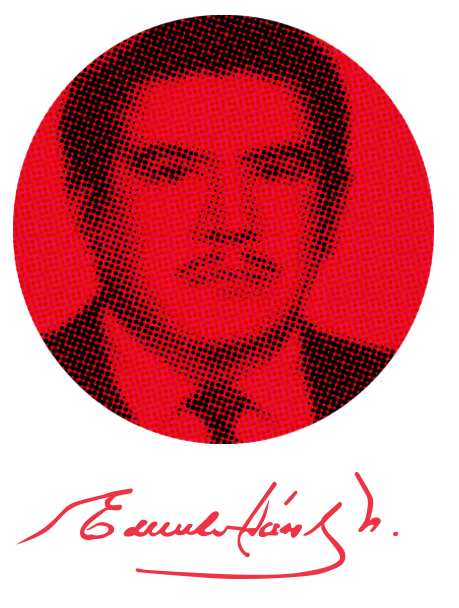 Original recipe from 1950, Don Edmundo Sanchez developed this drink. Made with natural ingredients, preserving the traditional recipe, which guarantees its taste and quality. Pride of Chapala. Foundation and first production of Sangrita. First preparation of hot sauces. “Salsa Lago de Chapala Chile Tree” is created. We created the first spicy salsa for one of our partners. 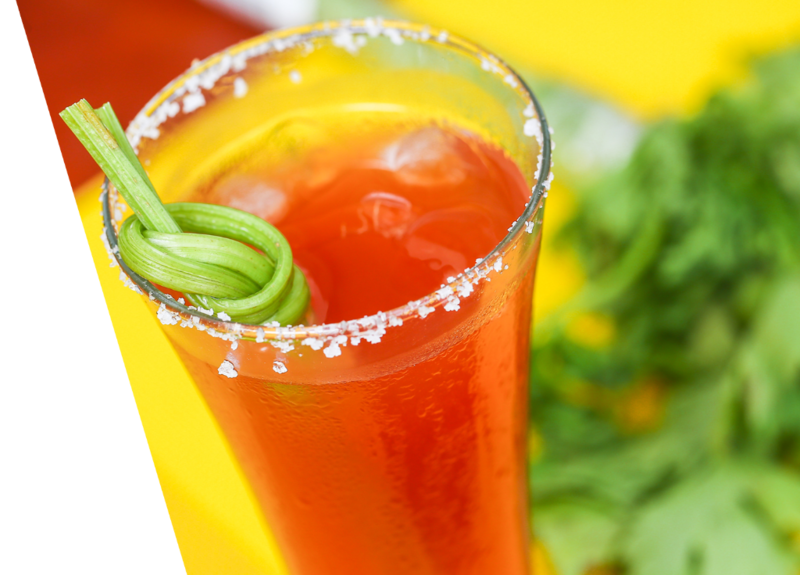 “Sangrita de la Casa” is created. “Salsa Lago de Chapala Chile Chile Guajillo Tree” is created. The first redesign label “Sangrita de la Casa” is performed. “Salsa Lago de Chapala Habanero” is created. 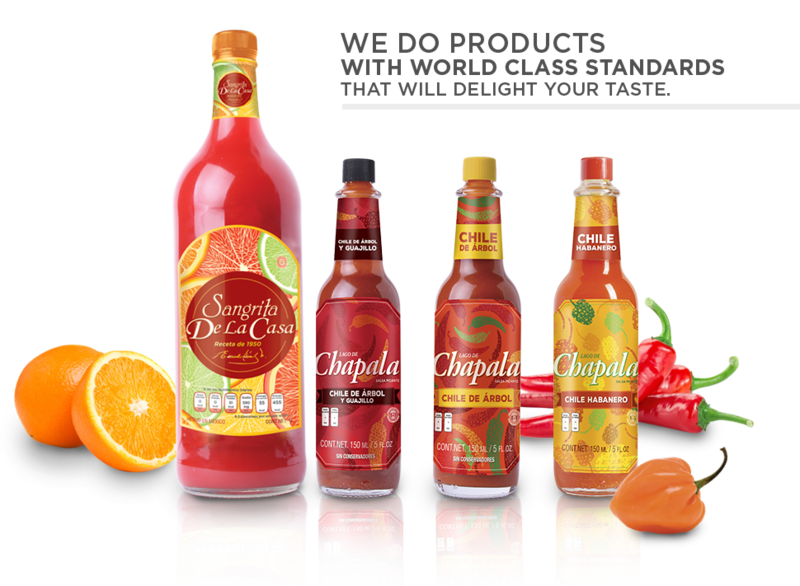 The second label redesign of “Sangrita de la Casa” and “Salsas Lago de Chapala” is performed. ‘We make the happy taste for people who enjoy life’. Throughout the experience of more than 50 years consolidated with a very capable team which is commited with the quality, service and satistsction of our clients. We attend the best brands with their needs of manufacture taking into account quality and fair prices. We are interested in their growth as well as ours. Be the best option for our customers, offering innovative flavors that transcend the borders, with products of the highest quality, generating confidence and well-being to our employees and to society. ½ cup apple cider vinegar. 1 can of chipotle, without liquid. 4 serrano peppers cut into strips. 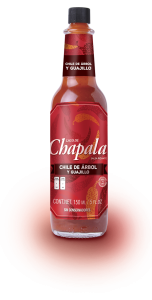 Lago de Chapala sauce (chile de arbol peppers and guajillo peppers) add at your choice. Cut the sausages in half and fry them in butter with onion and serrano chillies. Meanwhile, prepare the sauce, blend ketchup, orange soda, vinegar and chipotle, leave it separate. 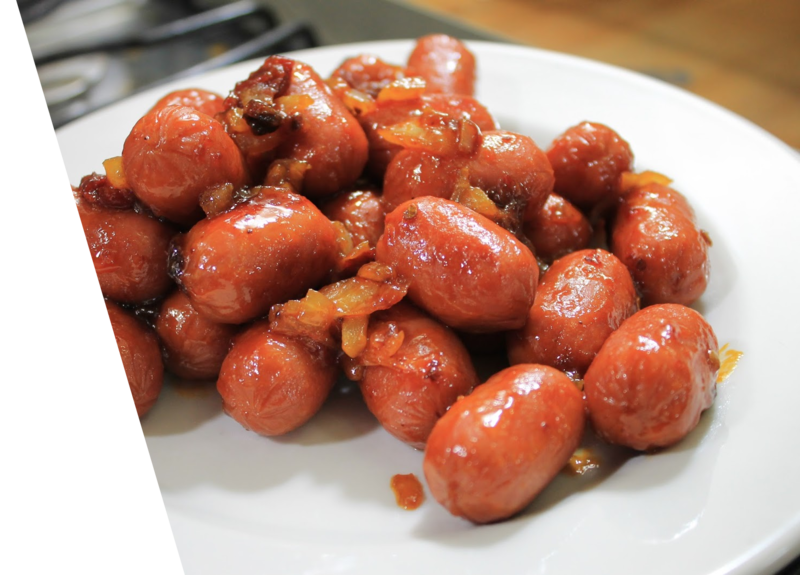 When the sausages are browned add the mixture and season with the Lago de Chapala sauce (chile de arbol peppers and guajillo peppers) at your choice. At the end, add the coriander and salt & pepper. It served in an extended bowl and chopsticks placed for diners. 4 you slice of toast. 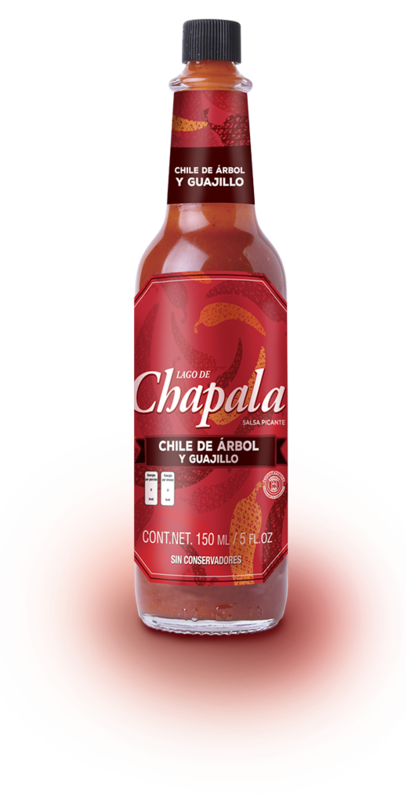 LAKE CHAPALA sauce (Chile de arbol peppers). In a pan with hot oil, add the eggs and season the deck with salt and pepper. Cook until the white well cooked and the yolk is still liquid. Meanwhile, mash avocado in a bowl and season it with salt. 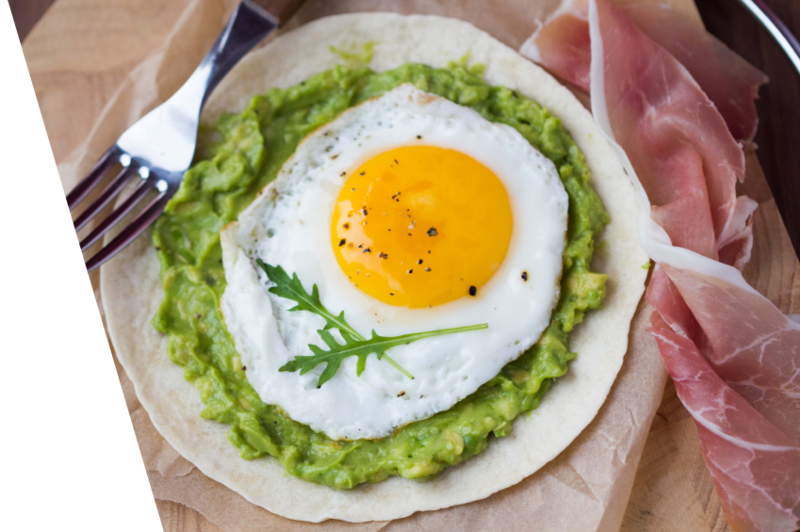 Spread a portion of avocado on each slice of toast and eggs placed on top. Decorate with Chile de arbol pepper sauce “Lago de Chapala”. Put ice in a glass with chili powder frosty. Add tequila and the other ingredients. Stir well and enjoy it! 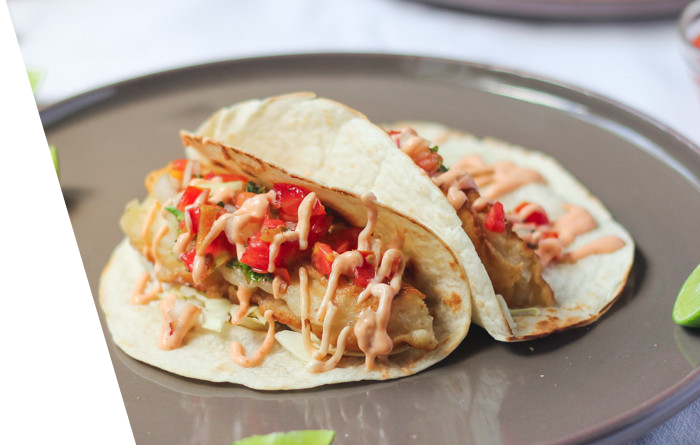 Slice the fish to the size you want in proportion to your taco. In a bowl mix flour, salt, pepper and garlic. Add beer and stir until no lumps. Dip the fish pieces in beer batter until coated and placed quickly in a pan with hot oil. Fry for about 3 minutes or until the dough is golden brown on both sides. Remove from pan and place on a paper towel to remove excess oil and then serve on tortillas. Mix mayonnaise, “Lago de Chapala” chile de arbol peppers and guajillo peppers and lemon juice. Add to the taco as a final touch of flavor. You can eat it along with salad, sauce and chopped lemon slices. 2 tbsp. chile de arbol peppers and guajillo peppers “Lago de Chapala” sauce. Juice of a half lemon. Also send the document from your application or resume. By clicking "Send Request", you accept and confirm that you read our NOTICE OF PRIVACY OF PERSONAL DATA. In SANE Products S.A. de C.V. Chapala The quality of our products accompanying food and / or drinks will be the flagship of our company and society. That’s why our values orientation is focused on overcoming consumer customer specifications and these being the fundamental basis of quality. Therefore continuous improvement in our products and processes will be our main goal, always seeking excellence and market leadership as well as compliance with national regulations and the countries to which we export. It is committed to SANE Chapala Products S.A. de C.V. safeguard the processes where our products of hazards related to food contamination or intentional alteration are developed. That’s why we must implement processes that ensure the protection of installations, access control vendor, visitors, contractors and employees; as well as transportation and distribution activities (C-TPAT) which allow to prevent any act of sabotage, vandalism or terrorism within our facilities. Therefore we reaffirm our commitment to the safety of products made by incorporating FOOD DEFENSE as a prerequisite in Food Security programs. 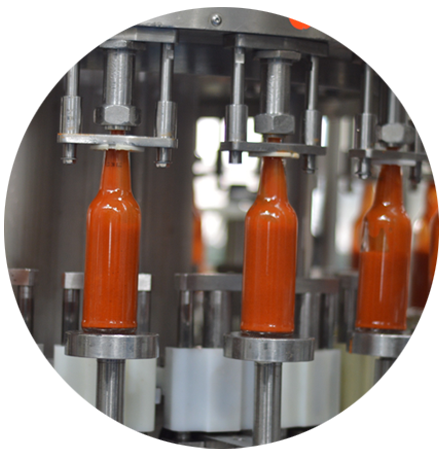 In SANE Products S.A. de C.V. Chapala We are committed to the safety of our processes, with which we make our companion products for food and / or drinks, it is why our values such as honesty, austerity, passion and customer satisfaction will be flagship of our company and society. Consumer health is our commitment, we must comply with the implementation, monitoring, verification and continuous improvement of our preprogram requirements and complying with national regulations and those countries to which we export. That is why in SANE Products Chapala, culture, knowledge and training on food security will be the main tool to meet and exceed customer requirements and consumer expectations. SANE de Chapala © 2016 Todos los derechos reservados. En cumplimiento con la Ley Federal de Protección de Datos Personales en Posesión de Particulares (LFPDPPP), Productos Sane de Chapala S.A. de C.V., en conjunto con sus empresas afiliadas, hacen de su conocimiento las condiciones del trato de la información y datos personales, así como los términos de igual manera la forma en la que Usted puede tener acceso a esta información. De acuerdo a lo anterior y a los términos mencionados en el presente “Aviso de Privacidad”, el titular de la información autoriza a Productos Sane de Chapala S.A. de C.V. a recabar, tratar, usar y almacenar datos personales, incluso los datos personales sensibles, que por su propia voluntad usted proporcione de manera oral, escrita, por medios físicos, electrónicos, electromagnéticos, visuales, sonoros o cualquier otro. Por lo antes mencionado, y al momento de leer el presente “Aviso de Privacidad”, Usted otorga su consentimiento tácito para recopilar y utilizar sus datos personales para los fines que en el presente Aviso se especifican. Selección de personal y reclutamiento. Alta en nuestras bases de datos de Clientes y/o Proveedores. Para el suministro de Productos y/o servicios solicitados. Para proporcionarle información de nuestros productos. Para actualización y manejo interno, etc. El Titular de los Datos Personales, autoriza a Productos Sane de Chapala S.A. de C.V. para tratar, usar, almacenar y/o transferir sus datos personales a empresas filiales del grupo y/o terceros nacionales o extranjeros relacionados con los fines que aquí se señalan y a revelar la información personal que Usted nos proporcione, para cumplir con la legislación aplicable o por requerimientos de la autoridad competente. Productos Sane de Chapala S.A. de C.V. cuenta con los medios físicos, digitales y electrónicos para proteger y limitar el uso o divulgación de los datos y no utiliza la información de los particulares para fines distintos a los relacionados con sus operaciones comerciales y/o los arriba señalados. Productos Sane de Chapala S.A. de C.V. se reserva el derecho de modificar este Aviso de Privacidad. Cualquier modificación que se realice en un futuro a los términos del Aviso de Privacidad estará disponible y al no presentar oposición alguna dentro del término de 5 días posteriores a la modificación, se dará por entendido que se consiente los cambios realizados. Al proporcionar información personal de manera física, electrónica o por cualquier otro medio, usted declara que ha leído el presente aviso de privacidad y entiende el alcance y contenido del mismo, al no manifestar oposición alguna por escrito ante Productos Sane de Chapala S.A. de C.V., expresa su entera conformidad con los términos y condiciones aquí contenidas. Si Usted no está de acuerdo con los términos señalados en este aviso, no ingrese sus datos por ninguna de las opciones ofrecida por nuestra empresa. Se señala como domicilio para los efectos de nuestro aviso el ubicado en la calle Zaragoza número 389, en la colonia Centro, 45900 Chapala, Jal., con correo electrónico productos@sane.com.mx, y con número de teléfono (376) 76-539-92 y/o (376) 76-540-20. Usted manifiesta que los Datos Personales, esto es, los datos generales y datos patrimoniales y/o financieros que son materia del presente Aviso de Privacidad, han sido obtenidos de manera libre y voluntaria, esta información es inequívoca y que usted consiente a Productos Sane de Chapala S.A. de C.V. lleve a cabo cual trato de los mismos en términos de la Ley y de este Aviso. According with the Federal Law on Protection of Personal Data Held by Individuals (LFPDPPP), Sane Chapala Products S.A. de C.V., together with its affiliates, make their knowledge the conditions of treatment of information and personal data, and the terms likewise the way in which you can have access to this information. According to the above and to the terms mentioned in this "Privacy Notice", the owner of the information authorizes Sane Chapala Products S.A. de C.V. to collect, process, use and store personal data, including sensitive personal data, which by their own will you provide orally, in writing, by physical means, electronic, electromagnetic, visual, audio or any other. As mentioned above, and when you read this "Privacy Notice" You grant its consent to collect and use your personal data for the purposes in this Notice are specified. High on our databases of customers and / or suppliers. For the supply of products and / or services requested. To provide information about our products. To update and internal management, etc. The Holder of Personal Data, authorizes Sane Chapala Products S.A. de C.V. to treat, use, store and / or transfer your personal data to affiliated group companies and / or foreign national third or related purposes herein established and disclose the personal information you provide, to comply with applicable law or by requirements of the competent authority. Sane products Chapala S.A. de C.V. It has physical, digital and electronic media to protect and limit the use or disclosure of data and not use the information of individuals for purposes other than those related to their business operations and / or mentioned above. Sane products Chapala S.A. de C.V. It reserves the right to modify this Privacy Notice. Any modifications made in the future to the terms of the Privacy Notice will be available and not file any opposition within the period of 5 days after the modification, it will be assumed that the changes made aware. By providing personal information of physical, electronic or any other means way, you declare that you have read this privacy notice and understand the scope and contents, to not express any opposition in writing to Chapala Sane Products S.A. de C.V., expresses its full compliance with the terms and conditions contained herein. If you disagree with the terms stated in this notice, do not enter data for any of the options offered by our company. It is designated as the address for the purposes of our notice the street located in Zaragoza No. 389, Colonia Centro, 45900 Chapala, Jal., with productos@sane.com.mxemail, and telephone number (376) 76 from -539 to 92 and / or (376) 76-540-20. You represent that the personal data, that is, the general data and proprietary financial data and / or which are the subject of this Privacy Notice have been obtained freely and voluntarily, this information is clear and that you consent to Products Sane Chapala SA de C.V. which carry out treatment of the same in terms of the Act and this Notice.